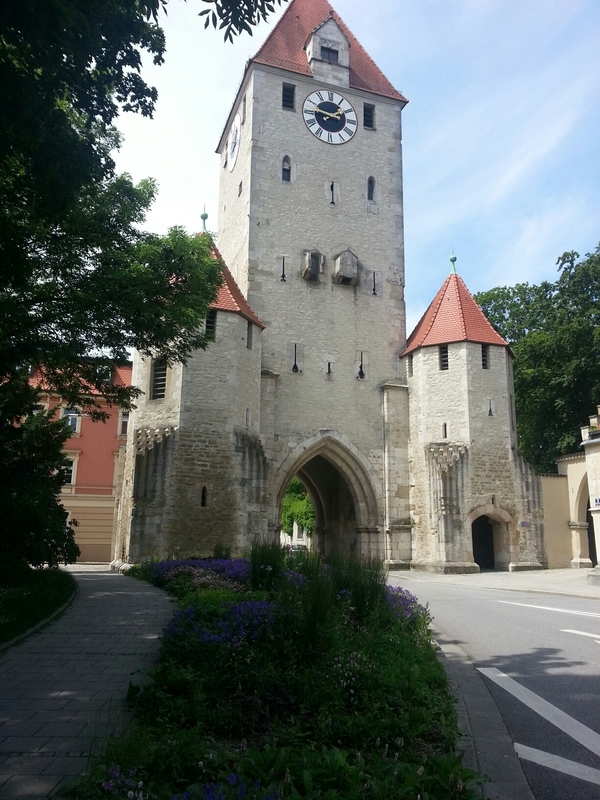 Today is Regensburg. However, we still are fighting strong currents. 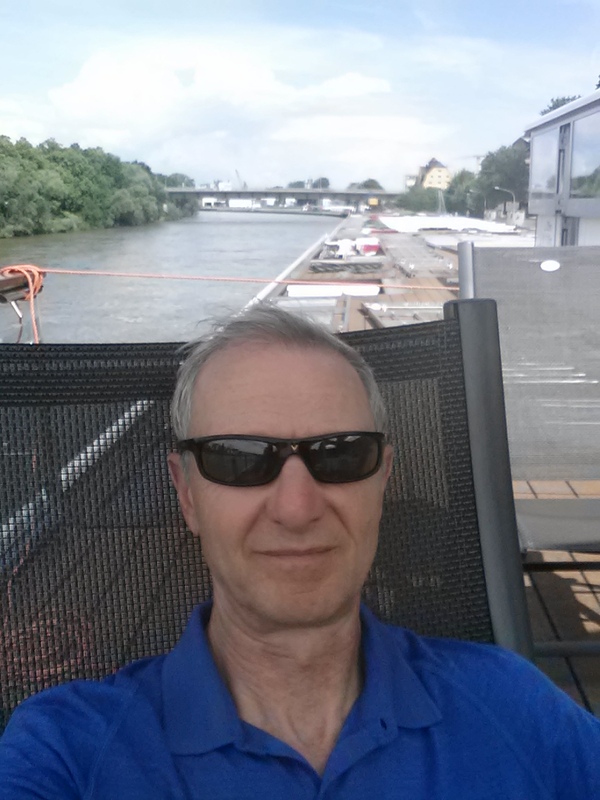 The morning was cruising a very meandering path along the Danube and, unfortunately, a bus ride to Regensburg in order to keep our tour on schedule. Naturally, the key attraction on the Castles and Cathedrals River Cruise is a cathedral, St. Peter’s. This is a prime example of Gothic architecture. The official tour ended at the cathedral just before noon. We were preparing to leave and start our exploration when there was announcement that they would be starting their noon prayer with organ music. We voted to stick around. Good choice as they turned up the lights, illuminating the gold gilded altar. There was about five minutes of organ music followed by five minutes of prayer (I can only assume since it was in German) and then five more minutes of organ music. 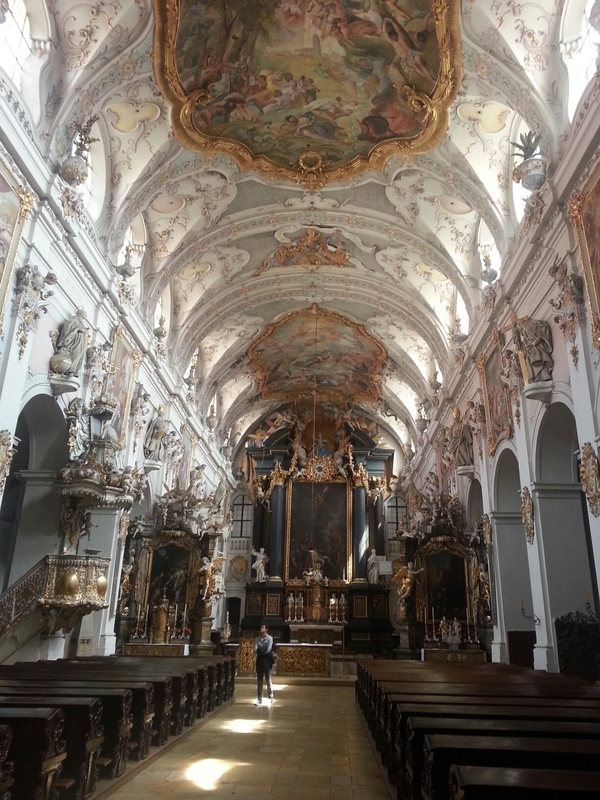 We actually appreciated the organ music better than the concert in Passau. It was more melodic and ended with a great low note crescendo which resonated so loud that you could feel it. Way cool. By then, the ship had docked in town so we stopped back for lunch and then headed right back out on a stroll to the far side of town. This included public parks, the Palace, another church and a continuation of Carol’s quest for a non-garrish t-shirt. The ship was docked right next to the historic wall surrounding the old city center. This was just inside the wall next to our ship. This was one of the most walkable, scenic, colorful cities we’ve visited. The streets are narrow, the buildings interesting, and the shops were not touristy, complicating the quest. It pleased me that everyone, from grandmothers to children, get around on bikes as driving is not practical in the streets of the old town. Back to our ship to relax on the upper deck. Tonight we enter the Main canal which stretches 106 miles, connecting the Danube with the Main River and the Rhine. The engineering marvel allows commerce to flow from the North Sea to the Black Sea. Tomorrow, Regensburg and guess what? More churches.